Call of Duty, this is the name which leads the gaming world. It is an interactive role playing war game which made the world to surprise by its well renowned graphics and this is the game that changed the attitude of a gamer towards the game. Activision and Sledge hammer games collaborated to have a wonderful game for us. When we played the game we were spell bound with the graphics and the approach of the game. Frankly speaking we are not interested to play any game other than Call of Duty. 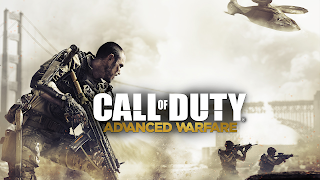 There are many games which are built on the theme of role playing but Call of Duty beats them all. After playing the game people began to feel as if they are like a veteran and saved the world from the crisis. Thanks for making the us to involve in the game says one of the pro-gamers. Ben Chichoski, the man who created this game. He is a man of value $120 million. So actually how did they create such a game which has perfect facial structures and emotions. There is an official explanation from the people who designed the game. They have used state of art facial recognition system and motion capture technology to capture the face movements and expressions. So, all the characters in the game are real. They have a military team which helps them to design the game and the story which makes the game more realistic. So, this is a shocking fact. The designers took nearly three years to complete Advanced Warfare. They took very serious measures to design the weapons that look very sophisticated as the game proceeds 40 years later from now. So, those people work so hard to put a great show for us. Mergify salutes you.